Picadillo is the ultimate Latino comfort food. In its basic form, picadillo is a type of hash, usually prepared with ground beef, tomato, vegetables, herbs and spices. 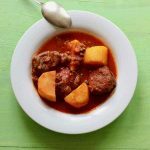 It is a traditional dish in Spain, Latin America as well as the Philippines where it is called giniling (Filipino for ground meat). The name picadillo comes from the Spanish verb “picar” which means “to chop” or “to mince”. 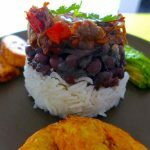 This traditional Latin hash recipe is often served with rice or tortillas, but it can also be used as a filling for other recipes like empanadas, arepas, or even Colombian carimañolas that I prepared a few weeks ago. Although picadillo recipes follow certain guidelines, each country or region has its own way of making picadillo. In Cuba, picadillo often includes capers or white wine, and can be served with black beans. In the Dominican Republic, hard-boiled eggs and cider vinegar are often present. In Puerto Rico, picadillo can be used as a filling for empanadas, alcapurria or piononos but it can also served with rice and beans. In the Philippines, picadillo is called giniling and is more like a soupy dish prepared with ground beef and potato or chayote, although a version similar to the traditional Latin American picadillo can also be found. Mexican picadillo includes guajillo chiles, and is sweeter thanks to the addition of sugar or honey when cooking the meat. 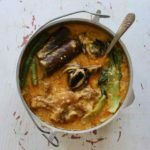 It is also made with seafood instead of beef in coastal regions of the country. In Costa Rica, picadillo is a very common dish, which can be made with all sorts of vegetables. Traditional recipes include ingredients such as chayote, carrots, platana verde (green plantains), vainicas (green beans), papaya verde (green papaya), arracacha (root vegetable from the Andes), pejibaye (peach palm), papa (potatoes), quelite, malanga (pomtajer), fruta de pan (breadfruit), chicasquil (spinach tree or chaya). 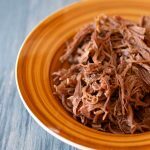 Meat is actually optional in Costa Rican picadillo. 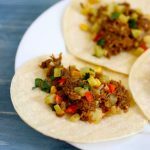 It is typically prepared with ground beef, but it can also be made with carne mechada, or shredded beef, which is exactly what I did for this picadillo de chayote. Carne mechada is a typical Latin American way of preparing beef that is used in a number of South American and Central American recipes. 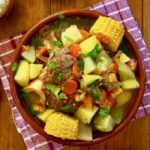 Although not sharing the same name, the Chilean dish with corn and ground beef called pastel de choclo shares a lot of similarities with the picadillo. 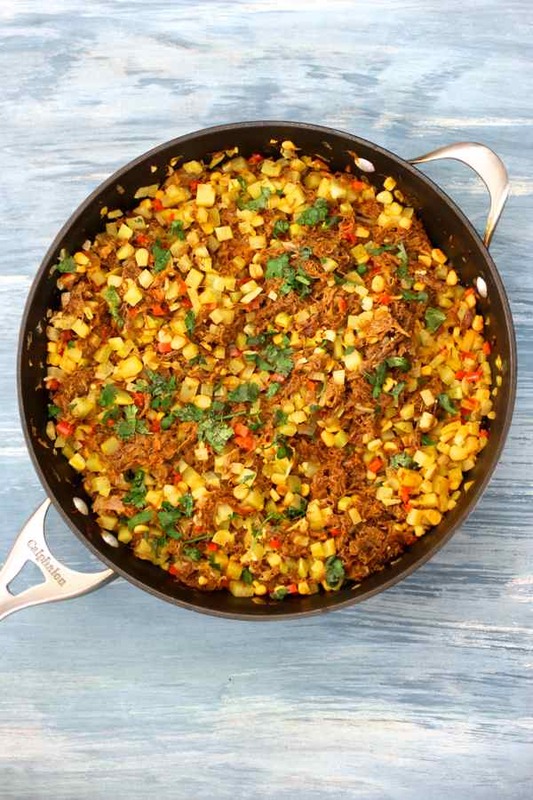 This recipe also uses the ubiquitous Costa Rican Lizano sauce that is also used in gallo pinto and carne mechada that can be used to make this picadillo. 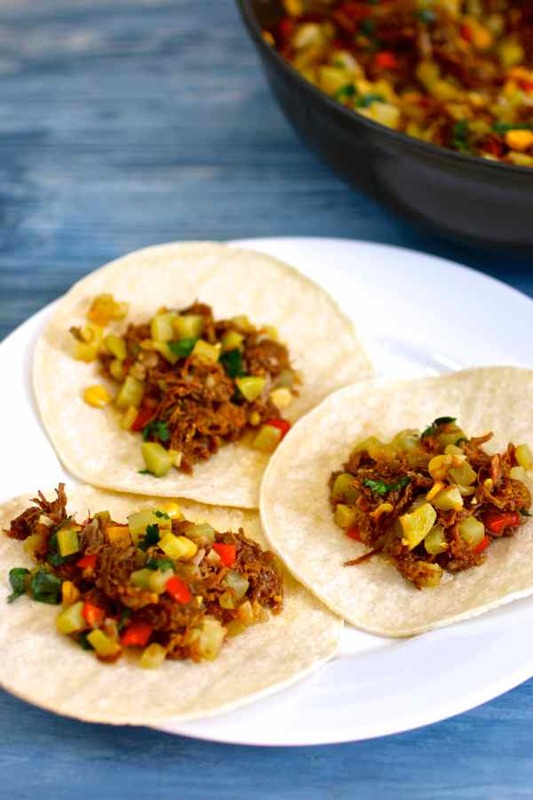 I served my picadillo de chayote on corn tortillas, but you can also serve it with white rice. I made a vegetarian version without carne mechada. We had this delicious dish for dinner on a weekday at the park nearby. This recipe is easy to prepare and easy to eat in a picnic setting. The kids absolutely loved it and I will definitely try to make other types of picadillos in the future. Picadillo is the ultimate Latino comfort food. It is a type of hash, usually prepared with ground beef, tomato, vegetables, herbs and spices. Sauté onion in a hot pan with oil. Add the bell pepper, garlic, oregano and continue to sauté for a couple minutes. Add corn and ½ cup meat broth. Boil over medium heat for 5 minutes if using fresh corn. If using canned corn, you can skip. 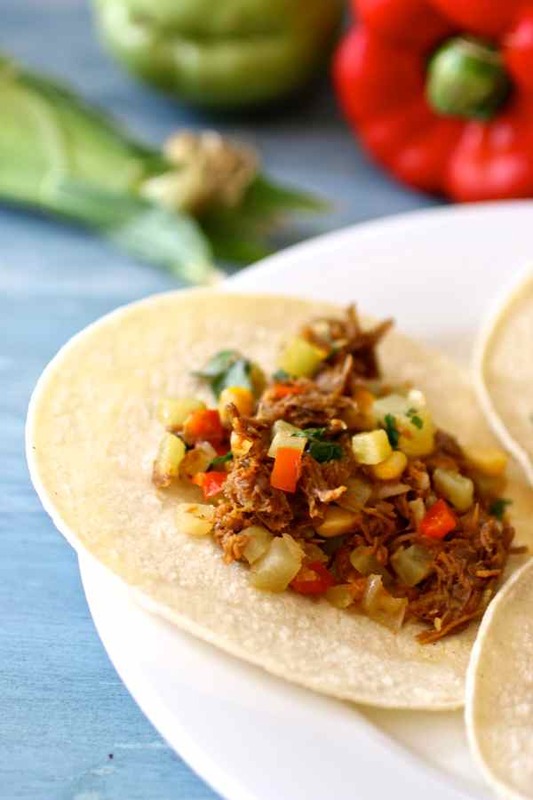 Incorporate chopped chayote, carne mechada (shredded beef) and ½ cup of beef broth. Season with annatto, cumin, salt and Lizano sauce. Cook over medium-low heat for about 40 minutes or until the chayote is tender. 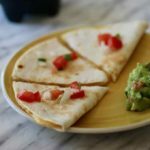 Serve with corn tortillas, white rice, beans or salad. as a chef from costa rica i can tell you this does not even remotely resemble costa rican picadillo ! !